MRI Results were good, everything looks fine. She got her intrathecal/spinal chemotherapy and the LAST round of chemo starts tonight! She is back in her room munching on a cookie after a long day of no food. Here’s to the grand finale! Phoebe is doing better since her seizure this morning. They only had room for us on the heart floor. (Don’t worry, her heart is fine). All weekend, and since the seizure, she has had really bad headaches, stomach cramps and vomiting. 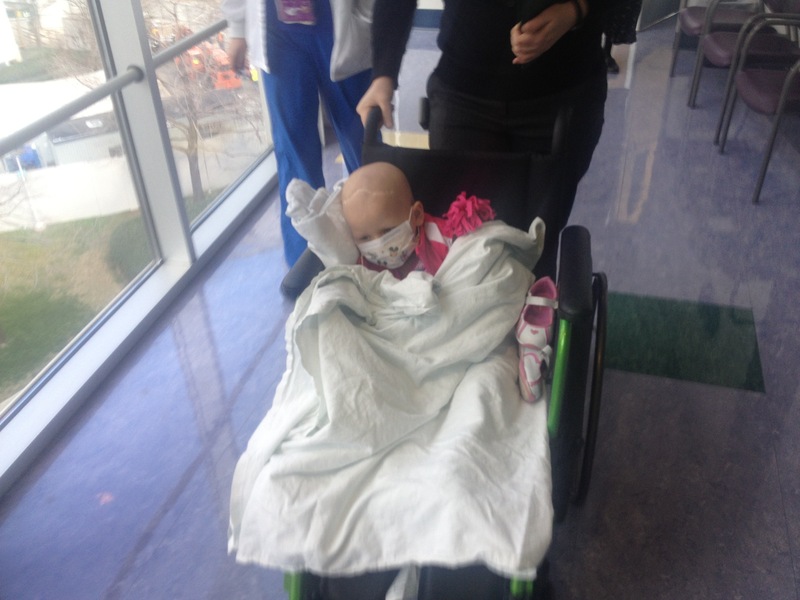 In the morning they will be giving her an MRI to make sure everything is okay. She will also be receiving Intrathecal chemo as well as IV chemo all week. But as we all know this week her last and by Saturday we will be done for good! Phoebe had a seizure early this morning presumably due to low sodium. Nathan is on the way to the hospital with her and I will update when we know more. She is due to start her last round of chemotherapy tomorrow. I keep thinking that this will be even more commonplace when chemo is over and she ALWAYS feels this good. I can hardly fathom life without chemo, but we are all really excited that it is coming so soon! 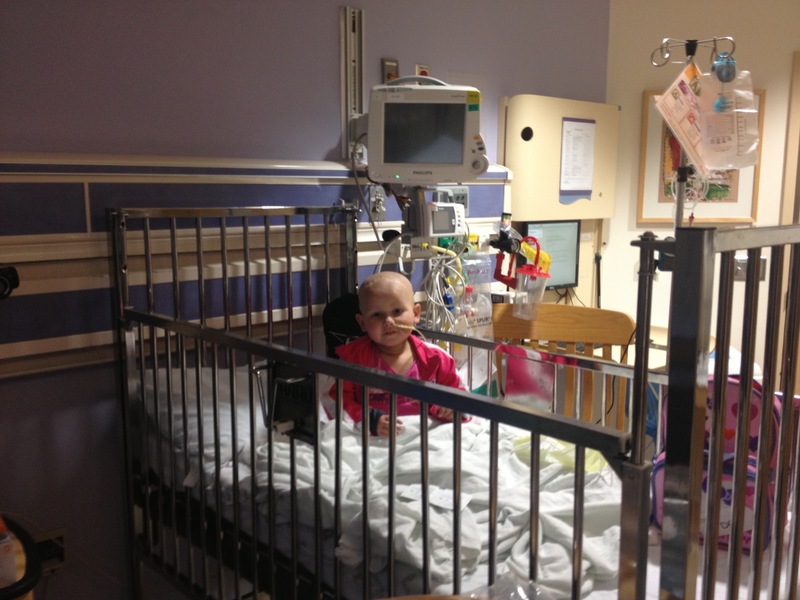 Phoebe will begin her last chemo treatment on the 26th. She will have intrathecal (spinal) chemo and it will be a tough round. And then we will leave the hospital and BE DONE! Ahhhhhhhhh!! I wish she could understand that this is IT! I am so happy for my sweet girl, just knowing that life is about to be a lot more simple and enjoyable for her. Needless to say, there is a lot of excitement going on around here and we are beginning to dream again..and plan, and look to the future, and that feels good. Last night we were blessed to have a dear lady from church come volunteer to spend the night with Phoebe so we could get some rest. Phoebe has never met a stranger, so she loved on Miss Linda just like she was family. Tomorrow we are meeting with a social worker about getting some night help. Please pray we are accepted this time and it goes through. Phoebe seems to be doing much better and is on the way home. We will update you soon. She lasted about 36 hours at home. Phoebe has had a rough time ever since we got home Monday Night. Last night she wasn’t feeling well with lots of headache and tummy pain. She had a low-grade fever all night and this morning went to above 101 as well as vomiting. She doesn’t have an immune system right now so she is being admitted in Dallas and will receive intravenous antibiotics. Amey is with her this time, so the boys and I are bachelors for a while. I see delivery pizza and lots of old school black and white twilight zone episodes in our future. Please lift up Phoebe in your prayers as she is feeling really crummy. Praise God for the good MRI results and a day-n-a-half of home time! 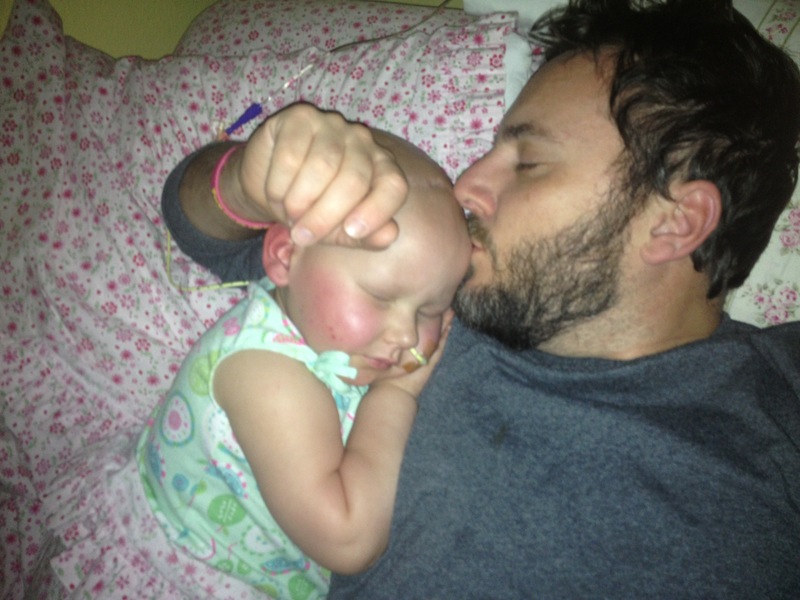 Praise God, Phoebe’s MRI came back with no evidence of disease today! 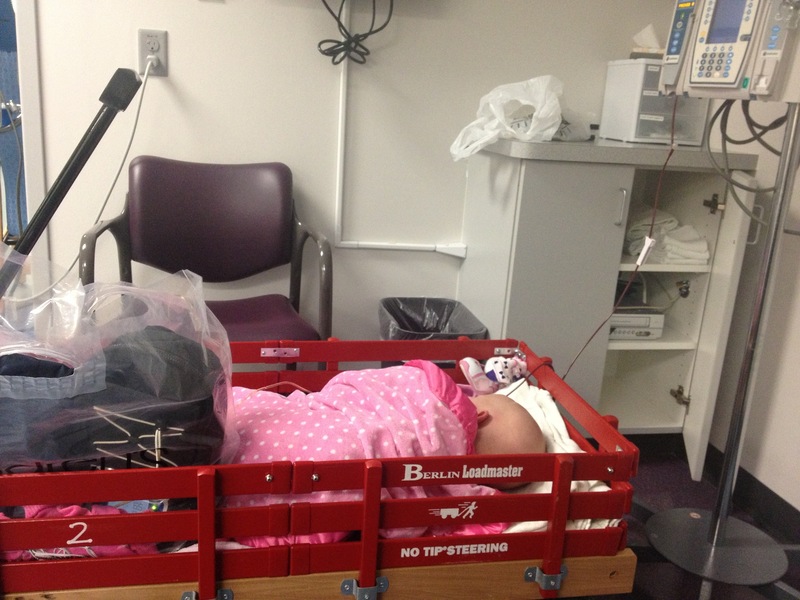 Her hemoglobin was low and we had to stay all afternoon to get a blood transfusion and she is feeling puny. But on the whole, she is doing great! Thanks to all of you who have reached out to us in so many ways over the last few months. One more round to go!!! !